Fiber Splice Protection Sleeves are specifically designed for the protection of fiber optical closure. The sleeves protect connection point and reduce the risk of fiber damage during installation. 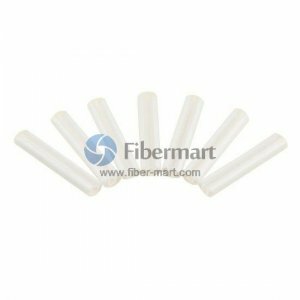 Fiber-Mart supply Heat Shrinkable Fiber Optic Splice Protector which are mainly used for single fiber splice protection, and they can be with custom length and size on request. Ribbon Fiber Fusion Splice Protection Sleeves are also available. All our fiber slice protection sleeves provide mechanical reinforcement at joint point and maintain the optical transmission properties of fiber optic cable to meet any application.